3421 E. Andy Devine Ave. 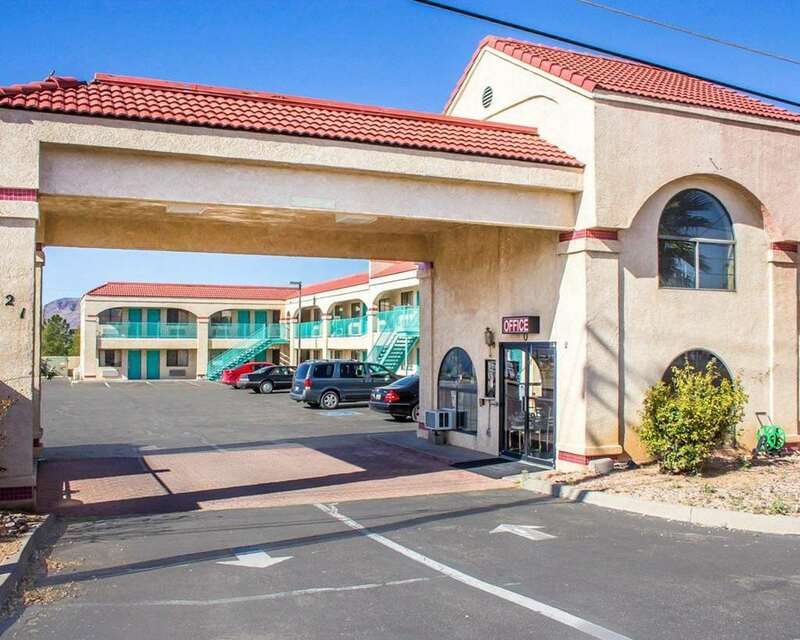 If you're looking for real value while being surrounded by the red rocks of Arizona and a natural wonder, stay at the pet-friendly Econo Lodge hotel in Kingman near Grand Canyon National Park. We are also close to the Mineral park, Hoover Dam, Lake Mead and Havasu Canyon. We offer every guest a laundry facility, copy machine, fax machine and outdoor heated pool. Settle in for the night in one of our cozy guest rooms, all of which feature a microwave, refrigerator and a TV. Also, earn rewards including free nights and gift cards with our Choice Privileges Rewards program. This pet-friendly hotel welcomes pets for a small nightly fee. Bus and truck parking is located on the property for guest convenience. Pet Charge: 10.00/night per pet. Swimming pool is not heated. Econo Lodge swimming pool is open seasonally from April 1st to September 15th.